Out with the vertically integrated rooftop solar behemoths, in with the long-tail installer platforms. The residential solar sector just saw an acquisition that, bucking a recent trend, had nothing to do with bankruptcy or retreat. Solar equipment distributor Soligent acquired Repower America Wednesday, taking on the latter's network of local rooftop solar installers backed by a central support platform. The combined companies hope to fuel profitable solar growth across the nation by helping local installers do their job more effectively. In recent years, the national, vertically integrated rooftop installers have largely gone out of business or faded from dominance (with the exception of Sunrun, which also leverages a network of installer partners). Smaller installers, known collectively as the long tail, are seeing more growth than the market leaders, and several platform plays have asserted a new theory of how to make money in this segment. They posit that a cash-light startup can tackle the tasks that benefit from scale and software know-how, leaving the site visits and physical installation to the local workers who know the territory. In theory, this arrangement brings in more profit for both installer and platform company and provides a path for sustained solar growth. 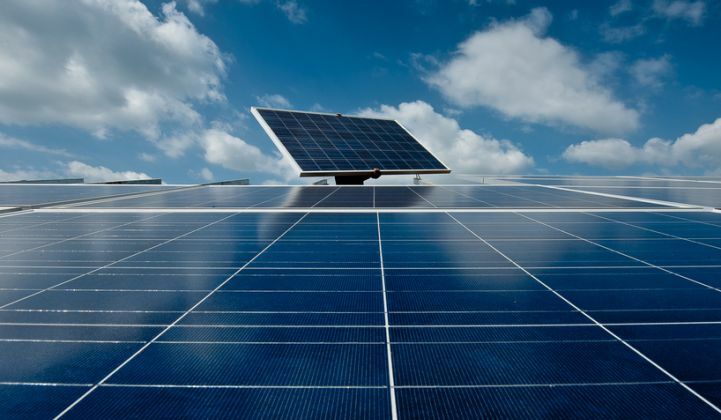 "Everyone in the industry is realizing that a lot of the growth is coming from and will come from the long tail," said Allison Mond, an analyst at GTM Research covering the residential solar market. "Everyone’s trying to find how they can best partner with those companies and enable them to be successful." Though nationwide expansion has thwarted the likes of SolarCity and Sungevity, Soligent CEO Jonathan Doochin thinks he can avoid the same pitfalls. He won't worry about trading profits for growth, because, he said, Soligent is already operating profitably in 50 states. "We’re not saying when we reach 1 gigawatt of volume, then we’ll be lightweight," Doochin said, referencing the capital-light aspiration of solar companies past. "We're actually lightweight and profitable today." Soligent runs a 39-year-old solar equipment distribution business serving some 5,000 installers. Repower America provides a "solar business in a box," training new installers in everything from marketing to selling, permitting and installing; it supports 200 companies and 50 franchises, which take on Repower branding and lead generation. Both are based in Northern California. The merger will give Soligent's dealer partners access to higher levels of assistance, should they choose it. Instead of simply buying products, a Soligent customer can sign on for help with a single skill set like marketing or project management, or stack a few, or go the full-stack franchise route. This represents an expansion of the value chain that Soligent tackles. Repower's existing customers will gain a partner with decades of experience delivering solar equipment. For Repower itself, this offers a shot at scaling that would have been much more difficult without a large corporate patron. The news comes after a series of tough breaks for the residential sector, both internally and externally inflicted. Over the past year, front-runner SolarCity cut back installations and lost its identity within Tesla; top-five installer Sungevity went bankrupt; and NRG Home Solar pulled out of the business, as did Direct Energy Solar. In just the last month the industry reeled from import tariffs imposed by the Trump administration and the news that solar employment had declined for the first time since tracking began, a development very much related to the string of bankruptcies and uncertainty around the tariffs. For Soligent's and Repower's leadership, that turbulence offered an opportunity to double down on their core thesis. "We both believe in empowering the long tail and bringing them resources to be successful," Doochin said. "We see an opportunity with some of the larger, integrated businesses struggling to strengthen the tail." Repower specializes in getting fresh-faced market entrants ready to do business within 90 days. "We don’t see many competitors out there providing that," said CEO Mahesh Mansukhani. The group will retain that training hub role at Soligent, but its responsibilities extend further, to the daily work of helping its franchises operate successfully. The Repower America name will persist as a division within Soligent, the executives said, because membership in the national brand drives a lot of value for local installers. Its headquarters will move to Soligent's base in Petaluma. The executives declined to disclose the terms of the acquisition. That said, it clearly wasn't a fire sale, and there was palpable excitement crackling in the conference room where they had gathered to discuss the news. The combined companies will be able to offer a platform covering the full range of services an installer needs, Mansukhani said. That should give an edge over companies that provide few of the needed solutions, forcing installers to contract in several different places. As it expands its volume nationally, Soligent won't face the same kinds of costs that made the vertically integrated plays untenable. "If you look at SolarCity or others, they were betting on themselves installing and executing what is fundamentally a local business," said Repower COO Daniel Rubin. "We’re enabling the long tail. We’re not going to have trucks and install." It's worth emphasizing that a platform play alone does not guarantee success. Sungevity spent its final year touting a "capital-light" platform strategy; the venture-funded startup does the work that can scale, but avoids the costs of maintaining a fleet of workers across the nation. The company spent a few hundred million dollars before it could achieve that promise, and ultimately went bankrupt last March. Others are trying their own versions, like Complete Solar, which makes it easier for sales teams and installers to specialize in their strengths without having to do everything. If the "revenge of the long tail" thesis holds, the coming months will feature a land grab as the various platform companies race each other to bag new local partners. Having one platform gain the resources of a large corporate parent may make it harder for smaller ones to compete. But then again, the nature of the long tail is that it's varied and vast; it won't be tapped out anytime soon.